SEIRS Archives - Shelving & Racking Ltd.
Shelving & Racking Limited are the UK's largest buyer, stockists and trade suppliers of new pallet racking, used pallet racking, warehouse racking, storage racking systems, industrial shelving, longspan shelving, steel shelving and warehouse storage equipment such as industrial cupboards, specialist cabinets and lockers. If you want to get in touch to discuss your shelving and racking requirements, you can call us on 0800 612 3210 or use our enquiry form. If you are thinking of putting pallet racking in your warehouse or storage area, you need to get fully qualified pallet racking installation engineers to complete the job and ensure that all SEMA guidelines are adhered to. We have teams of warehouse racking installers, all of whom are SEIRS qualified and have years of experience with all types of pallet racking, longspan shelving, bolted shelving, drive in racking and cantilever racking. No matter how big or small the job is, our teams will provide you with all the advice and guidance you need to make the most of your industrial storage and ensure that your goods have a suitable, safe and stable place to be stored. We have jobs booked in to install Esmena pallet racking in York, Dexion racking in Glasgow, hand loaded shelving in Southampton and steel shelving in Leeds. So wherever you are in the UK, we can provide you with a quote for materials, delivery and installation. Call us now on 0800 612 3210 or send us the details of you pallet racking installation on the enquiry form and we will reply to you quickly. 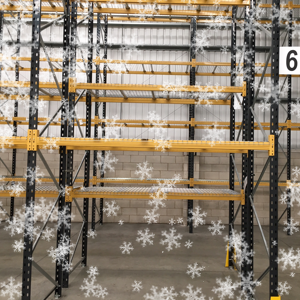 Shelving & Racking wish you a Merry Christmas! Shelving & Racking Ltd would like to wish all of of customers and suppliers a very Merry Christmas and a happy, successful 2019. We’ve had a great year, with used pallet racking once again being our most successful range of products. Sales of Dexion, Apex, Link 51, Redirack and PSS have been strong at the stock in our warehouse suggests that we are well set up for the New Year. 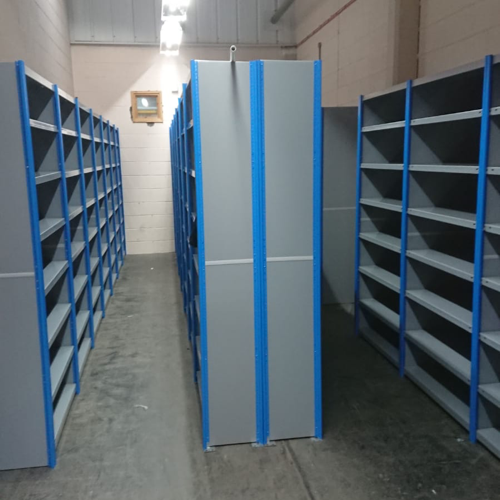 Our longspan shelving range continues to be very popular and is a strong versatile system suitable for all environments where a heavy duty shelving system is required. We have seen fantastic growth in the sales of warehouse steps and in our extensive range of lockers, which are suitable for almost anywhere staff or customers may want to store their belongings. 2018 has seen us install warehouse racking systems right across the UK. 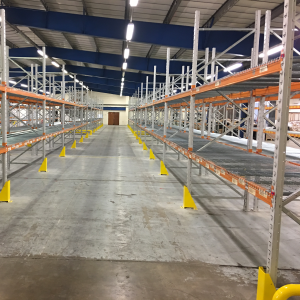 Our SEIRS qualified, experienced and helpful teams have installed a few bays of industrial racking in Southampton, 84 bays of boltless shelving in Leeds, used pallet racking in Crewe, hand loaded shelving on Teeside, and that’s just in the last couple of weeks! We look forward to helping our many returning customers in 2019 as well as offering the best possible service to all the new customers who find us in new year. Call us on 0800 612 3210 or send us an enquiry and we will reply to you quickly. Pallet racking installation should only be carried out by SEIRS qualified installers. We have experienced teams covering the whole of the UK who can install all types of warehouse racking and heavy duty shelving. Whether you need a complete used pallet racking system for a distribution centre or a few bays of used Dexion shelving for a storage area, our installers are efficient, helpful and will ensure that your storage system is in place with minimal impact on your business. We have huge stocks of all leading industrial racking manufacturers- Dexion, Link 51, Apex, PSS, Redirack etc.- and we can also supply accessories such as column guards and decking to complete the installation. Call us now on 0800 612 3210 to let us know what you need, or send us an enquiry and we will reply to you quickly.